Summer is just around the corner and we're major California dreamin' of long days spent at the beach. 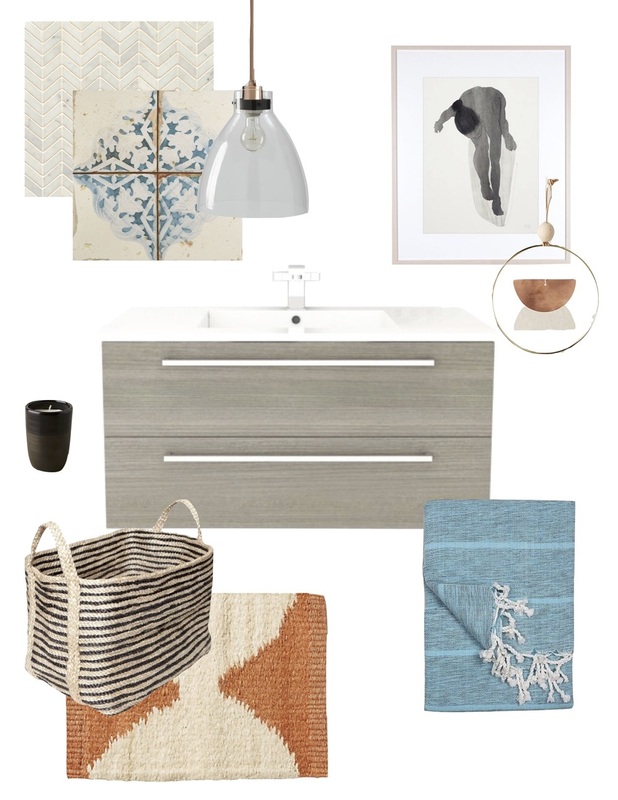 The sandy beaches of Malibu are giving us all kinds of inspiration for this bathroom mood board. Light natural woods, teal and orange colors maintain a grown and sophisticated aesthetic. The clean lines of the vanity, copper in the lighting and overall neutral tones keep things light, bright and modern. The Moroccan tile flooring and textures of the towels, rug and woven basket bring in an easy-going, earthy vibe.